Its burgundy red colour and intriguing acidity opens to the sense of smell with strong fruity flavours; intense and fascinating, spicy, it maintains a well-constructed pleasant taste, full and plain, velvety and smooth. Ruby red tending to light burgundy red.The bouquet reminds of intense graphite, rust, morello cherry dipped in chocolate, mint, dry hay, violet in the nose. Taste satisfies the olfactory pleasure lavishing sensations of black truffle, violet, liquorice and plum. Wine with a rich alcoholic content and as much freshness with wide tannin, initially velvety and then ending a bit dry, as fully characterised by the vine. The wine dithers between alcohol and freshness but at the end freshness prevails. Medium-bodied, with a long aromatic persistence. Liquorice and fresh plum aftertaste. A selection of Brunello deriving exclusively from our best bunch of Sangiovese grapes, carefully selected in the vineyard, allow us to create a very high-quality product. A powerful wine with a high structure and concentration, intense colour tending to burgundy red, typical and intense fragrance with a dry, harmonious, tannic and persistent taste. Percarlo is made from 100% estate grown Sangiovese grapes, especially selected bunch per bunch, from the best zones of our vineyards, which have a low yield of 1 Kg grapes per vine. The grapes are usually allowed to mature beyond the normal degree of ripeness. Fermentation and maceration take place in enameled cement vats and last up to 35 days. The yeasts produced are natural. Percarlo is aged in French oak barriques for 20-22 months, bottled unfiltered and held in bottle for another 18 months before being released. The grapes which go into the making of Percarlo are selected, bunch per bunch, from vineyards whose soil dates predominately to the Pliocene epoch. It is composed of layers of sand and stones which lie 2 to 5 meters deep and rest on beds of clay. The vineyards are situated at an average altitude of 270 meters above sea level. Notwithstanding the variations from year to year which occur in every wine faithful to its terroir, each vintage of Percarlo possesses constant characteristics which give it a precise, recognizeable identity. It is a wine with long ageing potential, a robust expression of the San Giusto a Rentennano terroir. Caparzos Brunello di Montalcino DOCG Vigna la Casa can be considered a true enological gem, and not just in terms of Montalcino. La Casa derives its name from having been the farm where some of the tenant farmers who worked for the owners of Palazzo Montosoli, which is at a distance of a few hundred meters, lived. The first vintage of Brunello di Montalcino Vigna La Casa was produced in 1977. At the time little was known of terroir, and little attention was paid to the concept of zonation, which had only recently been introduced to Montalcino. In this case Caparzo was once again a pace setter, producing a “Single Vineyard” Brunello from one of the finest vineyards in the Appellation. With Brunello di Montalcino La Casa, Caparzo also was one of the first wineries to introduce barriques to Montalcino, producing a wine with an polite, elegant spirit. Brunello di Montalcino Vigna La Casa is the fruit of a unique terroir, and expresses all of Caparzo's passion and experience in producing excellent wines. The 5-hectare La Casa Vineyard is located on the Montosoli Hill, at al elevation of 275 meters, and enjoys a south southeast exposure. The Montosoli Hill is not large, but its slightly greater elevation shields it from both mists and spring frosts, and yields grapes of incontrovertible quality. The terrain is shisty-clayey, of a sort locally known as Galestro, and is well drained. The vineyard enjoys excellent sunshine, an important factor for this sector of the northern part of the Montalcino Appellation, which has lower average temperatures than other sectors. 16-18° C in glasses for young, full bodied reds. Our Chianti Classico vineyards located in the municipal district of Barberino Val d’Elsa produce Sangiovese grapes for this traditional Chianti Classico. Red ruby colour, intense fragrance and gentle and balanced taste, Chianti Classico Ormanni conjugates pride, elegance, fruitiness and a great drinkability. It accompanies cured meats, pasta with gravy, stewed and grilled meat and Tuscan cheese. Sangiovese in its natural state. 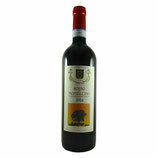 It is considered to be the younger brother of Brunello. It is aged for one year in 20 hl Slavonian oak barrels and unites the imposing structure of Brunello with the freshness and vivacity of a young wine. It should be drunk young, although it does last with ageing. It shows an intense ruby red colour and reveals all its exuberance with notes of red fruit and blackberry on the nose. On the palate, it is pleasing and well-orchestrated with good length and without aggressive tannins. Colour ruby red. Scent intense, broad bouquet, fruity (red fruits), elegant and spicy (liquorice and black pepper). taste dry, warm, soft with pleasant tannins, balanced, intense and elegant. Serving Rosso di Montalcino with rich first courses, first courses with tomato sauce, typical tuscan dishes, ribollita soup, roasts, red meats, rabbit, medium seasoned sheep's cheese. Production Area: Hillside terroir with good sun exposure for most of the day. The average altitude is 400 meters above sea level. Vineyard and Cellar Pratices:High density of vines in the vineyards, attentive choice of vine-stocks according to the characteristics of each part of the estate and the use of highly selected clones, not to mention the scrupulous care and attention dedicated to each individual ineyard ensure a low yield of healthy grapes, characterized by concentration and high levels of color and tannins. The San Carlo estate removes bunches in excess when the grapes begin to change color in order to allow the remaining bunches to ripen perfectly. The harvest is done by hand and the grapes are placed in small crates. The fermentation takes place in stainless steel vats in a temperature controlled environment. In order to guarantee the best and most delicate extraction of quality polyphenols and color contained in the grape skins, the wine is pumped over and the cap formed by the skins is broken on a daily basis during fermentation. The malolactic fermentation occurs naturally in the period following the alcoholic fermentation. Aging takes place in stainless steel tanks in order to maintain this wine's freshness. The length of the period of aging varies according to the characteristics of each wine. 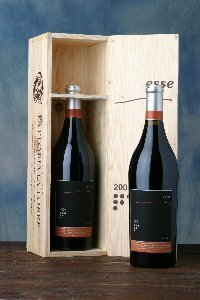 We also provide a period of bottle aging to allow the wine to reach a perfect equilibrium. Grape Varietal: We make our Rosso from the same grape we use to produce Brunello di Montalcino, Sangiovese, known in Montalcino as "Brunello". Vinification: Fermentation in contact with the skins for 15-18 days at a controlled temperature of 28 C or below. We use 100 HL stainless steel vats, designed specifically for the delicate extraction of tannins and color. Aging:12 months in 30 HL stainless steel vats, followed by a period of bottle aging. Color: Dense ruby red with youthful purple tones. Bouquet: Intense and concentrated with ripe fruit and a pleasant fresh vinosity. 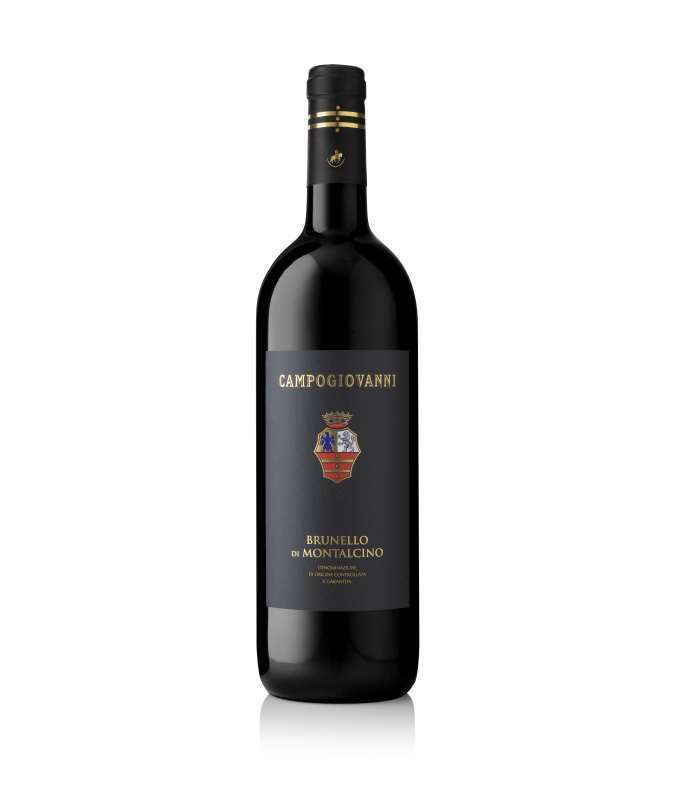 Taste: The San Carlo Rosso di Montalcino is full-bodied and complex. The tannic structure is consistent and perfectly balanced with the noble tannins from the grapes. Rocky, with favourable exposure to sun. VINIFICATION: Alcoholic fermentation with maceration of the skins (18-20 days) at a controlled temperature and spontaneous malolactic fermentation, both in truncated cone-shaped Slavonian oak casks. AGEING: In Slavonian oak casks of 20 to 32 hl for 6-10 months; followed by ageing in bottles for at least 3-4 months. ON SALE FROM: 15-18 months from the harvest. Colour: deep ruby red. Bouquet: fresh, with red fruit and vanilla shades. Taste: good structure, slightly tannic, persistent. San Giusto a Rentennano Chianti Classico is a blend of 95% Sangiovese and 5% Canaiolo grapes, hand-picked when perfectly mature. It is fermented in glazed concrete and stainless steel vats for about 14 days. During fermentation the skins and must are pumped-over and punched-down a number of times to extract the maximum qualities from the grapes. After the wine has been racked , the skins are soft-pressed in an horizontal press and the juice thus obtained is added to the wine. Malolactic fermentation is stimulated by heating the building where the vats are stored. The wine is aged in medium sized casks and oak Tonneaux for about 10-12 months, during which period it is racked several times. Before being released, it is held in bottle for at least another six months. Following the Tuscan tradition, Sangiovese dominates in this blend, shaping Pergolaia into a wine of intense bouquet, seductive body with soft tannins and superb depth. 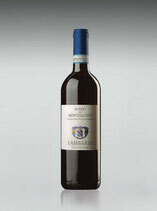 varieties Mainly Sangiovese with small amount of Cabernet Franc, Cabernet Sauvignon and Merlot. vineyard Podere Serra all’olio, Podere Nocolino. harvest By hand, in September. selection of Grapes A first time in the vineyard and then in the cellar on the sorting table. vinification Maceration on the skins between 15 and 25 days. Alcoholic fermentation in concrete tanks of 50 hectoliters (only indigenous yeast) at controlled temperature, max. 28°C.Two pumping-over a day for about 7 to 10 days, then once a day until the end of maceration. Malolactic fermentation in concrete tanks and wooden casks. ageing Mainly in old tonneaux of 500L for about 12 to 14 months. Then 10 months in concrete or wooden tanks of 25 HL.first year of production2003. Grape variety: 100% Sangiovese (Brunello). Barrel Aging and Bottle Aging: 6-7 months in Allier oak barrels of 54 hl. Refinement in bottle: 3 months. featuring fragrant and juicy sour cherry. enhancement for grilled red meats. Castello di Bolgheri wine is produced with the grapes of our best vineyards placed close to Bolgheri Village. Vineyard facing the tirrenian sea that are now 20 years old HARVEST Hand picked Grapes, selected on the harvest and before destemming even with much care. 2015 has been harvested from begin of September (Merlot), followed by the cabernet Franc, to the end of September with Cabernet Sauvignon. VINIFICATION Take place in stainless steel tank, and part as well in oak tank and open barrells. Long maceration on the skins especially for the Cabernet Sauvignon, 30 days; 20 days for Merlot and Cabernet Franc to preserve more the elegance of the tannins. In this vintage all has been fermented with indigenous yeast. BLEND 70% Cabernet Sauvignon, 15% Cabernet Franc, 15% Merlot In this special rich vintage with extra soft tannins and gliceric mid palate we decided to increase the percentage of the Cabernet Sauvignon to focus more on classic spice notes and flavors. Of course as well will be increased the longevity of the wine. AGING Castello di Bolgheri 2015 has been bottled in may 2017 after an aging of 18 months in 500 liters oak barrels. Matching dishes: salami, pasta, grilled meat. 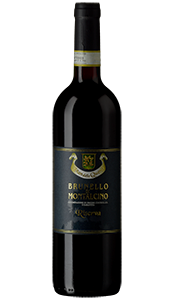 Brunello is the prince of Montalcino wines, produced exclusively from Sangiovese grapes picked by hand from vines at least 20 years old. After careful fermentation at controlled temperatures, Tenuta Il Poggione Brunello di Montalcino is matured for 3 years in French oak barrels. After being aged in wood, the wine is bottle aged for a time, an essential process in guaranteeing the pleasing quality and complex attributes that have made this wine world-famous. 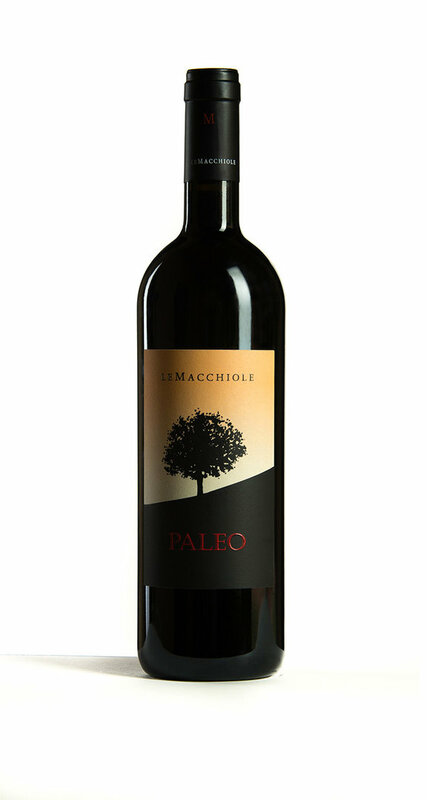 First released in 2004, Le Macchiole Bolgheri Rosso is the most recent of the Le Macchiole wines. This is a thoughtfully defined project stemming from the vineyards. In fact the grapes used to produce this wine are from a series of plots, primarily consisting of the younger vines, precisely identified for the Bolgheri Rosso. The grape harvest, winemaking and aging are devised produce a Bolgheri DOC made in the tradition of Bordeaux offerings typical of our area, yet showing characteristics which differentiate it. A fresh wine, complex but easily appreciable, it is perfect for the table and with a diverse combinations of food. 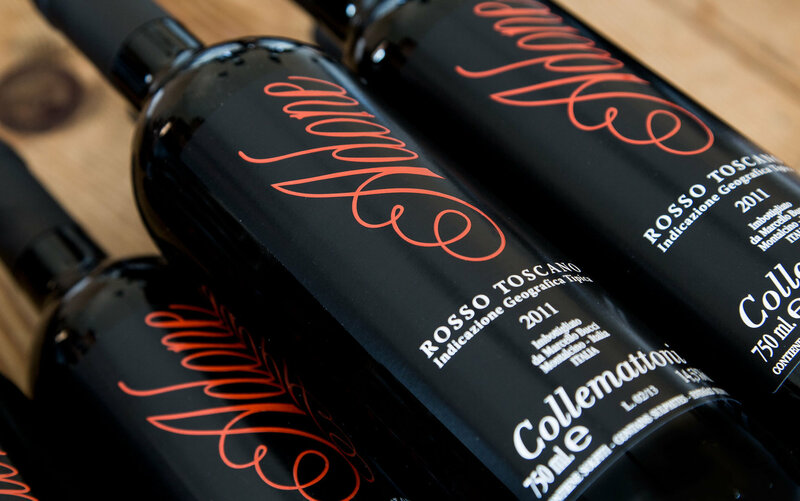 Bolgheri Rosso is our “calling card” in that it distinguishes Le Macchiole by demonstrating our personal interpretation of the Bolgheri terroir. The spicy fragrance spectrum of Casamatta Rosso IGT of black pepper, spices and tobacco shows complex aroma character and a lot of finesse. The prominent notes of red plum, strawberry and fig shape their individual texture. A red wine with a strong body and prominent acidity, which unfolds its distinctive structure with rich tannins on the tongue and palate. Commentaries : This Syrah is very intense and aromatic with strong spicy and woodsy aromas. It also has a hint of red berries. The taste itself is very strong and interesting in terms of number of flavors. This Stefano Amerighi is anything but a boring average wine. If you like red wine, and particularly strong interesting consistent red wine, then I highly recommend this. It would also make a great gift for your friendly neighborhood wine lover! A wine produced from a vineyard of 10 hectares at 100 m asl, where the soil is characterized by calcareous sandstone, marl and calcareous flysch mixed to clay and calcareous clay, while the climate is of a temperate Mediterranean type. There are 4500 to 6000 vines per hectare with a yield of about 7 tons of grapes per hectare. Vines are trained to Cordone speronato and Guyot. Harvesting is done manually. The average age of the vines is 20 years. Vinification in open truncated cone-shaped oak vats for the alcoholic fermentation. Malolactic fermentation in barrique. Ages for 18 months in barrique, in first and second passage. Bottle refinement 12 months minimum. The 2013 Brunello di Montalcino is awesome. An exotic melange of freshly cut flowers, dark cherries and plums conquers all of the senses. Intense saline notes and the wine’s underlying minerality are buried under the massive fruit, but over time they emerge. Hints of graphite, spices, crushed rocks and sweet, juicy dark cherries wrap around the huge finish. 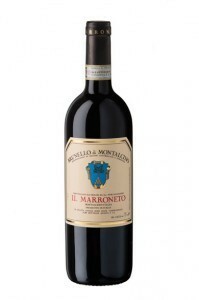 This is a seductive, mysterious Brunello that provides endless fascination and discovery. 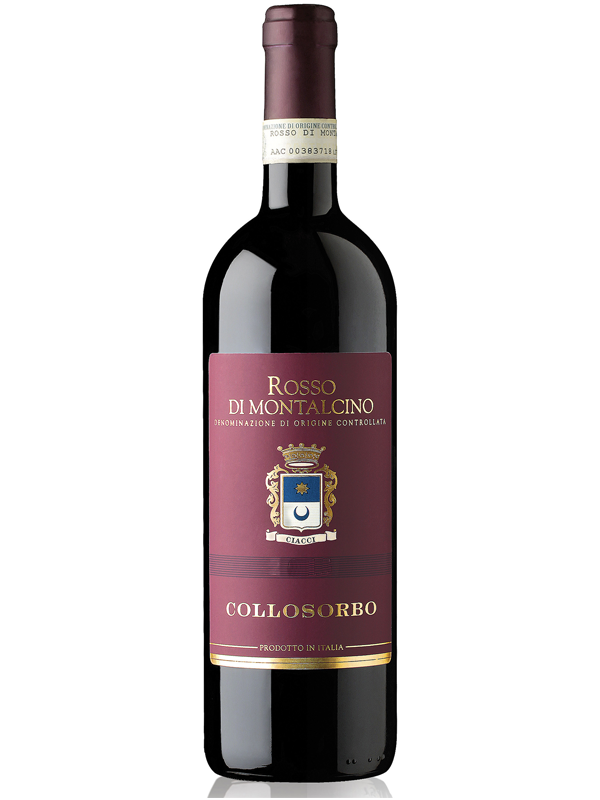 The 2015 Rosso di Montalcino emerges from the glass with radiant red fruit, flowers and spices, all of which come to life in a supple, fleshy style that is immensely appealing. Silky tannins frame the graceful finish when floral notes reappear, adding an expressive upper register that makes the wine even more complete and beautiful. The 2009 is a relatively lithe vintage for the Rosso, but the balance and overall finesse are beyond reproach. It truly is in a class of its own. (RP). One of the italian noble “B”s, expression of a quality growing land. 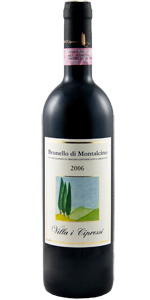 Denomination: Brunello di Montalcino D.O.C.G. Vineyard: 4, 3 of them contiguous near the farm center. Fermentation: Spontaneous at controlled temperature in stain steel tanks for maximum three weeks. Ageing: 36 months in big barrels by Slavonian oak followed by 4 months in bottle. Characteristics: Softer and less tannic of the Brunello Riserva. This wine has an intense color and aromas with ample notes of red berries. On the palate gives a body of great balance with tannins well integrated into the structure, which ensures elegance and longevity. Campogiovanni’s vineyards are sited onthe South quadrant of the Montalcino hill, where weather conditions and a particular combination of soils favour optimal ripening of the Sangiovese grosso grape. Campogiovanni Brunello is absolutely classic in style, ageing three years in Slavonian oak casks and in 500-litre tonneaux, then another 12 months in the bottle. It is recognised for its finesse and for its longevity. 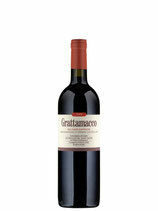 Grapes: Cabernet Sauvignon 70%, Cabernet Franc 20% and Merlot 10% Area of Origin: Cerreto Guidi. The vineyards are located in Cerreto Guidi area, around 150 m above sea-level. The vineyards of Cabernet Sauvignon and Cabernet Franc are situated on loose soils rich in fossils and Merlot is on clay soil. Vinification: fermentation with maceration in steel tanks with controlled temperature of 25/28°C, for a period of 28 days. Aging: in French oak barrique 60% brand new, for a period of 14 months. The final blend results in an elegant and balanced wine. Tasting Notes: purple colour with garnet tints, full bodied and complex. Very elegant and persistent; cassis and tobacco notes. Pairing Suggestions: serve with stew and roasted meat and full flavoured plates in General. The company's philosophy is to highlight the Sangiovese grape, which is cared for harvested and selected so that only the best fruit is taken to the wine cellar. Thus the choice to perform vinification in stainless steel vats at a controlled temperature with extended maceration of the skins and a long refining process in medium-large Slavonia oak casks (from 27 to 50 Hl). 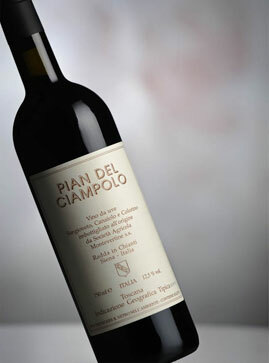 Thus a wine with its classic colour and its typically expressive body of the Sangiovese vine is created. It is at the same time traditional, powerful and has an elegant taste expressed in four varieties: Rosso Toscana IGT "Il Bersaglio" (3/5,000 bottles), Rosso di Montalcino DOC (10/15,000 bottles), Brunello di Montalcino DOCG (15/20,000 bottles) and finally, only produced in the years of exceptional quality and in a limited quantity, the Brunello di Montalcino Riserva. Production, which is lower than what is envisaged by regulations, highlights the main objective of the company to focus on high quality. Colour: intense ruby red, with garnet reflex.Bouquet: ethereal, red fruit and vanilla, persistent. Taste: harmonious, with excellent tanninity and structure, very persistent. 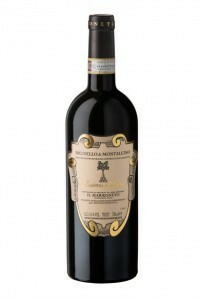 Il Brunello di Montalcino is the most important wine produced by the winery. It is made using 100% Sangiovese grapes which are cultivated with great care and attention. After a long fermentation on the skins the wine is matured for three years in Siavonic oak barrels of about 30hl and it is kept for at least a further 6 months in bottles before being sold. The wine is clear, of a ruby to granate colour, it has an intense but characteristic nose of red fruits and a hint of vanilla. The tannin levels are good and the wine has a fine structure. If it is kept correctly the wine should age well. The Pinti family have been in the agricultural field for four generations and, thanks to this experience, they can be proud of their wine production: Brunello di Montalcino D.O.C.G., appreciated all over the world by now. Brunello di Montalcino production starts towards the end of the nineteenth century. Today, like in the past, Brunello is the result of a tenacious passion and looked after, with love and due care, during the years of bottle fining in the cellar, before introducing it to the world, which, in its turn, has learnt to appreciate it. In the past wine was made according to the traditional Tuscan way, the so-called "governo", an age-old oenological custom, consisting in adding to the new wine must of chosen grapes to give rise to a second fermentation. The vinification of only Sangiovese and successively its ageing in casks for a lot of years marked the beginning of Brunello production, a strong and smooth wine, which was completely different from other aged and more famous red wines. In 1963 Brunello was recognized as D.O.C. and in 1980 as D.O.C.G. Founded in 1962 by Primo Pacenti. Pure Sangiovese from a selection of the best grapes of our vineyards, matured in 30 hl Slavonian oak barrels for 30 months with subsequent ageing of four months in the bottle. Uniting traditional and modern technology, Brunello has always been a great wine, certainly important and a pleasure to drink. When it is young, it is rich in scents of fruit and flowers. When it has aged, it acquires complex ethereal characteristics and offers a broad bouquet with an aroma of autumn leaves. Vintage 2010 Grape variety100% Sangiovese grosso.Training system cordon-spurred training system.Vine density per hectare 5000 plants. Altitudes of vineyards from 280 to 350 metres above sea Level.Location south exposition. Cultivation pratices anunual dry pruning, manual shoot thinning and crown desuckering, limited number of brunches per vine, manual Harvest. Vinification duration of maceration of 25 days; alcoholic and malolattic fermentations take place in stainless steel tanks equipped with termostats to control the temperature. Ageing Slovenian oak barrels of 30-35 hl for 2,5-3 years. Bottle ageing 12 months. Average annual production 50.000 bottles. 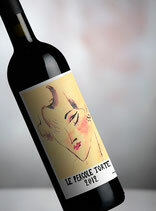 Bottle type bordeaux 600 g. alcohol content 14,50 % vol. Total acidity 5,3 g/l.Total dry extract 32,2 g/l. Colour ruby red towards garned with ageing. Aroma intense, Broad uquet, elegant, rich in scents of mellow red fruits, spicy in notes of liquorice and tobacco.Flavour dry, soft with velvet tannins, balanced, very intense, very ersistent and elegant. 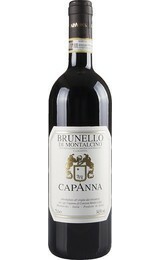 Food wine pairing Brunello pairs with roasts, game, red meats, rich first courses, with sauches and seasoned cheese. Matching dishes: roast white and red meat, poultry and wildfowl, venison, cheese. Vinification: in steel tanks constantly stirred for the first 2 days, the temperature rises till 33/34 degrees after 5/6 hours. The fermentation lasts around 11/12 days. Refinement: aged in25 quintals oak barrels for 39 months. It becomes Brunello after 5 years, also considering 10 months refinement in the bottle. 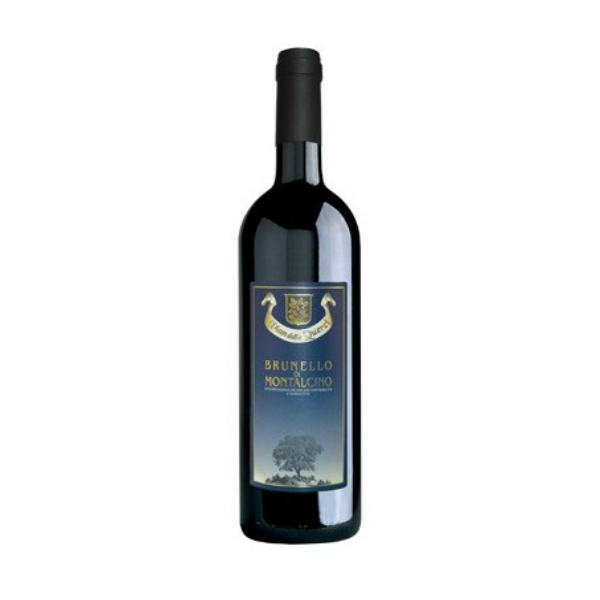 DESCRIPTION: Our classical Brunello, sangiovese 100% made absolutely following the traditional style. This is the historical wine of the farm elegant and in the same time structured. It burns from a vnification whose aim is to fix as much as possible the perfumes of sangiovese, so even the typicality of the territory. Fantastic for moments of relax. Fillide is the only blend we are making. Sangiovese, Syrah and Alicante blend together their features to express the full potential of our terroir. 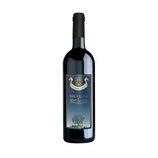 The result is a fresh and fruity wine, erfectly balanced, with intense fruit aromas, full-bodied, with soft tannins. A nice wine, at the same time easy to drink and to eat with. 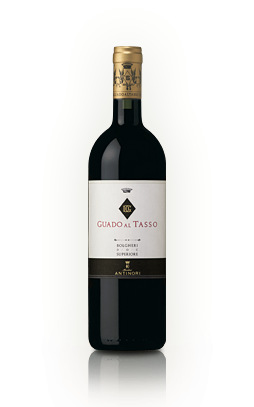 This is the prestigious flagship wine of the Tenuta Guado al Tasso, and fully expresses the Bolgheri terroir in all its structure, elegance and complexity. It is made with Cabernet Sauvignon, Merlot, Syrah and Petit Verdot grapes and aged from about 14 months in new French oak barriques. It then matures for a further 10 months in the bottles. "Ornellaia, the flagship wine of the Estate"
Il vino si presenta con una elevata intensità di colore, che già al primo impatto lo rende ricco e importante. Al naso è fitto, complesso e denso di sensazioni aromatiche varietali e fruttate che comprendono le note di ciliegia, amarena, frutti rossi maturi fino a sfociare in un finale di liquirizia, caffè e tostato dolce. In bocca i tannini sono soffici e ben equilibrati. Il vino è sapido, minerale ma morbido; sulla parte finale della degustazione richiama note dolci di cacao, vaniglia e frutti rossi e neri. Intenso e persistente. Masseto: What makes its magic? Is it the uniquely gifted 7 hectare terroir where it is born, its mosaic of small individual plots, and its perfect affinity with Merlot? Is it the Mediterranean climate where the breezes from the sea combine so perfectly with the warmth of the sun? Is it the passion and dedication which drives all those who dedicate their talent and craft to its birth, its creation and development? Is it the commitment for excellence and obsession about every single detail? Is it its amazing complexity, its beautifully balanced structure? Is it its timeless integrity? Is it its great rarity? Is it in the value which it regularly commands at international auction sales? Is it the deep and loyal appreciation that it enjoys among its aficionados around the world? The answers to these questions are the keys to enter Masseto’s complex world. But beyond explanations, a vast space will remain open for mystery, discoveries and astonishment. Rosso dei Notri originated from an advantageous harvest since it was warm during July and August but fresh in September. Tua Rita has always expressed the best during warm vintages in fact 2016 is the proof of how the heat and great thermal excursion between night and day can communicate the true style of Tua Rita. Rosso dei Notri aticipes the other wines through the remarkable structure combined with the rich fruits. 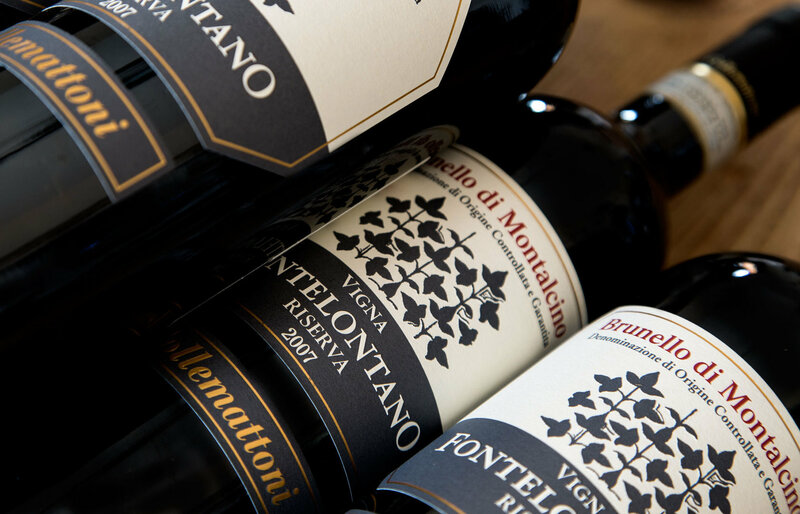 The Fuligni Rosso di Montalcino bears the name Ginestreto and, for many years, has been well-known on the market as a product of high quality due to an attentive selection of grapes. Partially aged for about six months in French oak tonneaux, it bears a strong fruity fl avor which can complement an endless array of dishes. organoleptic features: Intense ruby-red colour, a structure of great fruit and smoothness, with notes of spices providing it with complexity and diversity. An outstanding structure able to evolve gradually and to refine itself even over years, enhancing especially its characteristic olfactory qualities. Typology: D.O.C.G. 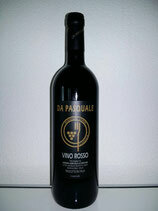 Grape variety: 100% Sangiovese (Brunello). Barrel Aging and Bottle Aging: 36 months in Allier oak barrels of 16-33-54 hl Bottle aging: minimum 6 months. Colour: Clear red, tinged with some pomegranate hues. Nose: Fruits and spices run after each other in a sweet conjunction conveyed by tobacco notes. Palate and wine and food pairing: Frank and potent, at the same time strong and full-bodied, it ends with a lingering sapidity. Pair with: game, lamb, grilled red meats and mature cheeses. Production: 30.000 bottles. Color: ruby red with purple hues. Nose: Large and persistent, with fruity notes well blended with woody scents.Taste: structure and tannins important, persistent soft connote of fresh and ripe fruit.Service: A temperature of 18 degrees centigrade, in glasses designed for Rosso di Montalcino wine. 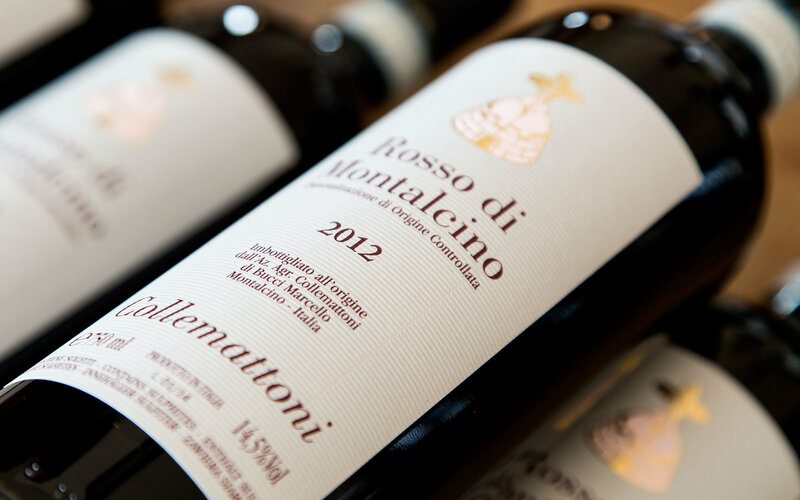 Rosso di Montalcino is the ideal starting point for understanding the true expression of Montalcino wine area. A Rosso with a great character, the fruitiness of a young wine but with the intensity that only the Montalcino terroir is capable to create. This wine represents the pick of our production. All Sangiovese used for this Riserva comes from the single vineyard of Fontelontano. The name “ Fontelontano” is linked to the presence of a water source near the vineyard where in the old times people used to get their water for their homes. The Brunello di Montalcino Riserva is produced from this vineyard only in the best vintages. Rosso di Montalcino D.O.C. is put in new 50 hectolitre barrels in medium toasted oak from Slavonia for eight months.Its vinification is made with middle-long soaking on the marcs with frequent repassings in the early stages of the fermentation.The maximum temperature reaches 29 degrees centigrade and falls freely as long as racking. It is a vintage wine, limpid intense ruby with clove and liquorice aroma. Its flavour is dry, savoury and winy. The other excellent wine is: Brunello di Montalcino Riserva D.O.C.G., a limited production.This wine is carefully chosen, as the best, out of new 50 hectolitre barrels in medium toasted oak from Slavonia and kept to age, as stated in Brunello production regulation, one year longer than vintage Brunello. Our purpose is to put on the market just the years of Brunello Riserva we judge top quality ones. Our concern philosophy is to take great care of all the stages of the production, from the vineyard to the wine-making, with a really competitive quality-price ratio, getting goods appreciated all over the wine world. such a grand cru, made up with a particular selection of grapes picked from the historical vineyard if the farm, that one that surrounds the house. The name has origin from the little church of 1200 situated very near the vineyard: Madonna delle Grazie; interesting wine in which the delightfulness of the sangiovese join the complexity of the great wine. Superb, sumptuous, fruity, of great impact in nose and month. Messorio, born in 1994, is a challenging dance between us and one of the most widespread varieties in the Bolgheri area: Merlot. Messorio is named from an Italian term pinpointing the period of harvesting. It is a moment of great importance in the life of our countryside, at one time linked to the reaping of crops, now, for us and inextricably identified with the grape harvest. 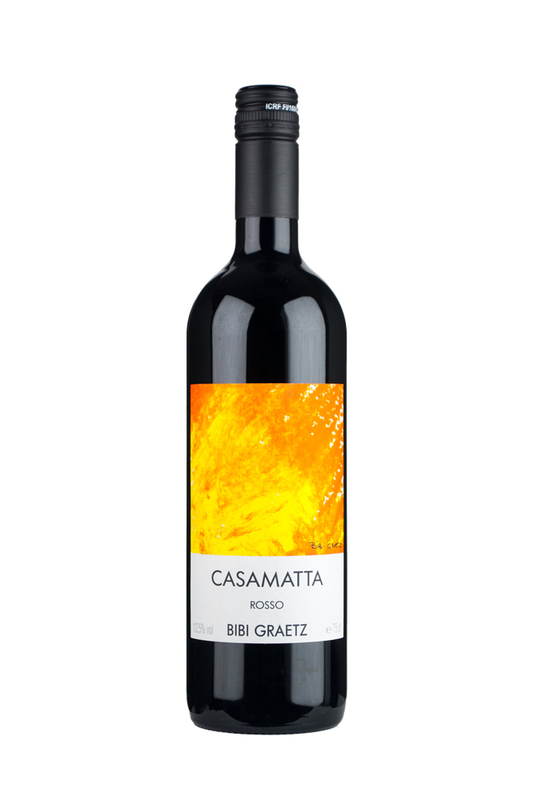 These generous grapes, perfect for the blended wines typical of Bolgheri, are tricky and complex when it is decided to produce a wine from merlot in purity. 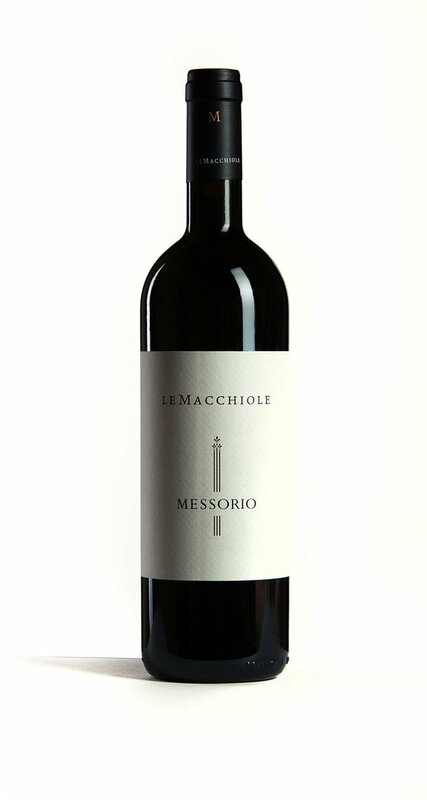 Messorio is considered one of the most representative Italian merlot wines in the world. Determined by considerable complexity and elegance, which grows year after year from aging in the bottle. 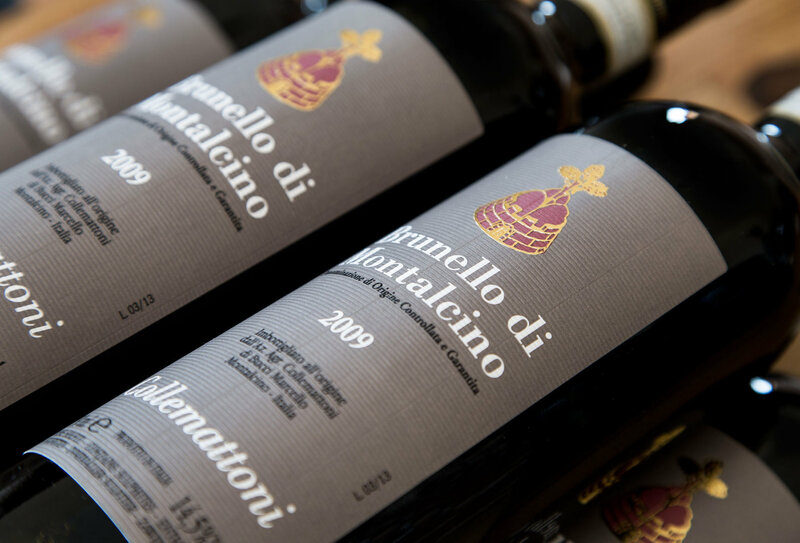 An old traditional wine that is fresh and velvety, the grapes for the Rosso di Montalcino come partly from the same vineyards dedicated to the production of Brunello and partly from more recently planted vineyards. 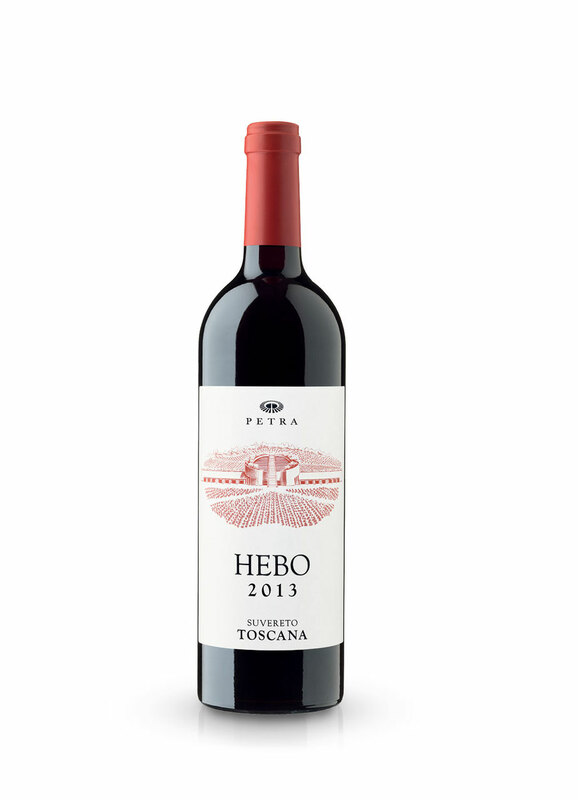 Pure Sangiovese with fruity aromas, notable structure and persistence, it is both an elegant and very versatile wine. Varietals:100% Sangiovese (approved grapes and winery selected). Growing method: Double spurred cordon. grape varieties: 50% Sangiovese, 30% Cabernet Sauvignon, 20% Syrah vineyards: Felciaino 1986, Fondi 1984, Felciaino 2001 first year of production: 2004 soil composition: average texture with alluvial calcareous deposit average output per vine: 1200 g training system: horizontal spurred cordon harvest time: in the first two weeks of September wine making: with natural raising agents in steel tank maturation: the majority in steel tank, the rest in French oak barrels, which have been used for at least 4 years organoleptic features: Great drinkability and versatility, ruby-red colour, with notes of red fruit and a dynamic, fresh mouth, excellent every day for accompanying all meals based on traditional Tuscan cuisine. maturation: at least 18 months in French oak barrels, 15% first use and the rest second or third use organoleptic features: Impressive colour depth, perfect expression of the characteristics of the Bolgheri territory. Elegance, power and complexity are the distinctive features of this wine, able to mature for many years and to refine its bouquet constantly over the years, passing from hints of ripe red fruits, vanilla and spices to extreme complexity with notes of liquorice, tobacco, cedar and cinnamon. Definite, soft and long finish.